Natural Stone Services Stone We service all types of natural stones and concrete. Our process is free of corrosive acids and chemicals. GET A FREE PRICE QUOTE Phone For a FREE evaluation of your granite, stone, or marble cleaning, repair, or restoration needs, call 720.RESTORE, TODAY! No hassles, no pressure! Natural Stone Experts Ribbon Our technicians are craftsmen when it comes to restoring natural stone to its original brilliance. Whether your project is large or small our technicians will be able to maintain or restore its beauty. Stone Restoration Works is the expert in natural stone repair, polishing, sealing and refinishing in Denver CO. No one knows natural stone care in Denver Colorado like our master craftsmen. Granite, marble and other natural stone products must all be handled by people who know how to maintain and repair it. No matter how large or small the project we are there to help, from your granite counter top to a full restoration of a marble floor, Stone Restoration Technicians are the experts. Affordable natural stone care is our passion. We offer repairs, cleaning, polishing, protecting and restoration of all natural stone. Stone Restoration Works uses only quality products and the best equipment to clean, polish and treat your marble, travertine, granite, limestone, slate and other natural stone surfaces to leave them in beautiful condition. It’s about time your granite countertop, marble floor, or stone surface looks as beautiful as nature intended it to be. Here at Stone Restoration Works our master craftsmen use only top-of-the-line materials and equipment that are safe for your stone surface. 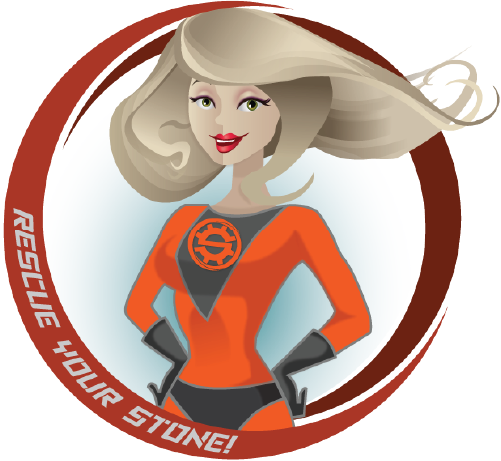 For a FREE evaluation of your granite, stone, or marble cleaning, repair, or restoration needs, call 720.RESTORE, TODAY! We come in when the soiling on your floor or countertop has gone beyond what normal maintenance can handle successfully. We are able to use a variety of techniques to successfully clean your floor, countertop or shower, depending on the surface and degree of soiling. Regardless of the area or surface being cleaned we first pre-treat the area with an environmentally safe degreaser which emulsifies soils. The key to successful emulsification is dwell time. Once the proper dwell time has been allowed for, we begin the agitation and extraction phase of the cleaning process. Our commercial grade hard surface cleaner is capable of producing 250 degree water. For floors we use a special rotary spinner tool that applies pressurized, heated water to the floor while a heavy duty vacuum simultaneously pulls the heated water and emulsified soil solution off the surface. Using this system we are also able to adjust the pressure so that grout and tile will not be damaged. This system allows us to clean your floors tile and grout efficiently and effectively. We always clean from edge to edge ensuring that no part of the floor is left soiled. Once the floor and grout lines are clean and dry we will apply sealer to the tile and grout, limiting the possibility of future permanent discoloration from soils. We provide each of our customers with the option of color sealing their grout to ensure perfect grout uniformity. Why Choose Stone Restoration Works? Josh has been friendly, professional and punctual each time he has come to our home to work on our large kitchen island and bathroom vanity marble. He has taken as much time as necessary to make sure that all of the imperfections and markings were erased before doing a final polishing. I would definitely recommend his craftsmanship and his company!